is it possible to reduce the space like shown in the screenshot? 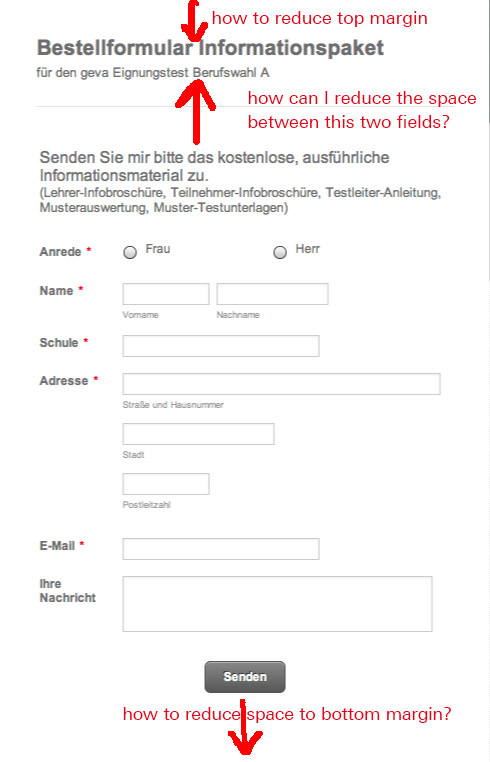 the form takes too much space on the website. its an embedded iframe. hope, there will be a solution! The only way to accomplish this is by using custom css code and inject into your form. you are great! it works perfectly. thanks for this fantastick support. On behalf of my colleague you are welcome.